The Liebster Award – Do I Look Sick? Hey guys, long time no see! I’m sorry I haven’t been on the blog more. My IBS has been flaring up and it’s kept me busy. Also, February is the busiest month of the year for me aside from December. My anniversary of when my husband and I started dating was at the beginning of the month – we’ve been a couple for six years now. Then of course, there was Valentines Day yesterday. And this Saturday is my birthday! So I’ve been a busy busy bee. I’m actually planning a party this year, something I haven’t done in a long long time. It’s all a bit overwhelming. But! Excuses aside, I’m going to get back on track with this blog now, starting with an award that I’m very excited about! 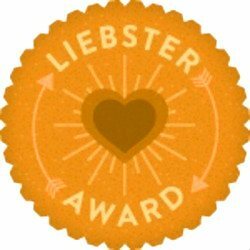 I was nominated for the Liebster blog award by not one, but two lovely bloggers! The term “Liebster” means “dearest” in German, and it is passed along from blogger to blogger as a means of bringing attention to blogs that may not have a huge readership, and to let your readers know about your “dearest” blogs. I was nominated by two awesome blogs that you should definitely check out – Oh What a Pain in the…. and Connective Tissue Disorder: My Journey. More about them in a moment. Connective Tissue Disorder: My Journey is one of my favorite blogs, and right now they’re in the middle of posting daily “Marfacts” about Marfan Syndrome in honor of Marfan Syndrome Awareness Month. Marfan Syndrome is common and treatable, but unfortunately symptoms often don’t surface until it’s too late. This makes is a deadly disorder. Raising awareness is the most powerful tool we have to fight it – check out and share her blog to find out more and save lives! Oh What a Pain… is one of the first blogs I started reading devoutly and it’s not hard to see why. Her blog is honest and simple. It’s a frank look at living with invisible illness, and the toll it takes on various aspects of life. She’s not afraid to be funny, which I love. How can we get through life with illness without being able to laugh about it? I especially love her posts on the relationship between an ill person and a healthy person in love. It’s great advice for any couple facing chronic illness. Second, you’ll be able to find the Liebster heart, along with all other awards Do I Look Sick has received, under the new “Awards” tab at the bottom of this page. I added tabs guys, I’m so excited. Third, my seven nominees! Remember, the point of this award is to get more people reading more blogs, so please check these guys out! 1. Kwesting – this is my husbands brand spanking new health blog! Yes, I am excited and yes I am shamelessly promoting it. He’s currently a contestant in Genghis Grill’s 2013 Health Kwest, where he’s competing to loose weight and win $10,000! Please go show him some love and support, he’s working really hard. 5. The Labyrinth – another great blog about MCS and college with invisible illness. 7. Chrissy Lovebaby – her journey to the end of endo. Plus she’s freaking hilarious. And if you want to see more of the blogs I read, check out the spiffy new “blogs I love” tab at the bottom of the page! Now, 11 things about myself! 1. I have recently succumb to a pintrest addiction. I thought I’d never be that kind of person but here we are! Check out http://pinterest.com/doilooksick/ and see how crazy I am. 2. In my adding of awesome tabs at the bottom of this page, I have also added a tab that leads to the Do I Look Sick official store! And a GREAT birthday present to me that would also get you some cool stuff would be for you to buy some awareness swag from me! 3. For Valentines Day, I had my first professional massage and spa day. Possibly the greatest gift for someone with chronic pain EVER. 4. On Saturday I’m turning 23. 5. For my birthday, I’m throwing a Clue Murder Mystery Dinner Party. I’m Miss Scarlet. 6. The effect that Vicodin has on my changes all the time, but lately it makes me feel hyper and talkative. 7. I really want a lot right now – I want a new job, a house, a car, a dog, and pink hair. I’m therefore working extremely hard to remember to be thankful for what I have. It isn’t easy. 8. I think I’ve decided that long hair isn’t for me. I’m not patient enough to style it, and I think I look more awesome with really short hair. I’m trying to work up the courage to make an appointment at the local beauty school. I usually like to go to Toni and Guy, but we don’t have the money to do that right now. So…I’ll have to trust my hair to a student. 9. My twitter just hit 100 followers, and my blog and facebook aren’t far behind. I’d LOVE to have at least 100 followers for each! 10. I don’t like TV shows as a general rule – the format of getting 30 min of story then waiting to see what happens next annoys me. But I’ve become addicted to Witch Hunter Robin – an oldie but a goodie. CIS meets Harry Potter. I am in love. 11. I’m looking for a job as an editor, but what I really want to do is write. Lately I’ve been dreaming of copy writing – but with no experience or portfolio odds are slim of that happening. Now for the questions from my two nominees, starting with Connective Tissue Disorder’s questions. 1) What inspired you to begin blogging? – I used to be the sort of person who kept quiet about my illness. Then one day, when I was about to try a new does of medicine, I let work know that I may be out sick in the coming days. This led to some ridicule and I was completely humiliated in front of all my coworkers. Of course, it only makes sense that in this society they would think I was planning on drinking myself sick or something. And I decided that wasn’t fair. I’d been wrestling with the student disability accommodation office for months, while they fought with the attitude that most students are trying to weasel out freebies from the system, my teachers were left assuming I was lazy, and I was sick of it. I’d never read or followed blogs before, but I knew that voicing my experience was the first step to awareness for invisible illness. I’ve been trying to start a student organization, but the disability office isn’t making it easy. I also have plans for live events. Blogging was the beginning of a movement. 2) What’s your favorite blog post ever published by you? (so I can go read it!) Probably my “How to Date while you’re Sick” post. It was the funnest to write, and I think it’s helped a lot of people. 3) What’s your favorite hobby? Hmm…it’s a toss up between learning to cook and collecting Disney’s Vinylmation. 4) Cats or dogs and why? I love both, but currently I only own a cat. I couldn’t make a dog live in our little one room apartment. I love cats more as a pet, but I’ve always thought of dogs as a real investment and safety measure. My cat brings me so much joy, but dogs make me feel safe. You need both. 6) Extroverted or introverted? Extreme introvert. 7) Are you a good judge of character? I think so. People say I’m judgmental. But as a screenwriter who specializes in character studies, I find I am rarely wrong about people – both the pretty and the ugly stuff. 8) What is your favorite genre of music? Haha I always say “music that’s in movies.” I don’t listen to the radio, so most of what I’m exposed to is in films. 9) Are you a morning person or do you prefer the night? Definitely prefer the night. I’ve recently discovered that I am bloody useless in the morning. My husband’s taken to going in to town or meeting for rehearsal early in the morning. Without him waking up with me, I will sleep FOREVER. I’m hours late to work all the time. Luckily I set my own schedule and can always make up for the time, but I’m kind of stunned that I just cannot wake myself up. 10) Warm colors or cold colors? Hmm I guess cold. Though I love red a lot. But I dislike orange and yellow. 11) 2 things you’d be miserable without for a day? (Food, air and water not included) CEREAL AND MILK. If I have to start the day without cereal and milk, I will actually cry, and it’s going to be a bad day for everyone. Since I recently got an iPhone, I’ve never left the house without it, but I imagine that would make me miserable too. But above all, a day without MY LIST will always drive me batsh*t crazy. I’ll do a whole post on THE LIST later…but it literally controls my every thought and action because I am OCD like that. 1) Favorite food? Mint. It counts as a food for someone with IBS. 2) Who supports your illness most? My husband, unquestionably. I find little support in the professional world, I’ve really only shared it deeply with one friend, and my family makes a huge effort to understand but they don’t always hit the nail on the head. My husband is unfailing. 3) Who is your oldest friend and where did you meet? My oldest friend is Gary. We met in sunday school in fourth grade. We haven’t always been close, and now he lives on the other side of the country, but he’s always been my buddy. He now is married and has two beautiful boys who are the cutest dang children on the whole freaking planet and I am happily jealous. So let’s see….that’s fourteen years. That’s a long time. 4) What is your favorite post? Answered above. 🙂 I’ll link to another cool post because I like to link. Link! 5) Who is your inspiration when writing? Hmm…. I suppose my geeky but true answer is JK Rowling. 6) Favorite meal? My mom’s Eggs Benedict. It is heaven on earth. It is so unhealthy. She swore to only make it once a year (christmas morning) but this year I’m getting some for my birthday too! I cannot explain how good it is. I have never had good eggs benedict anywhere else. Recently I filmed a professional chef who made hollandaise sauce – I tried a little and was vastly disappointed. No one makes it like mom. I’m in a state of nirvana just thinking about it. 7) Favorite song and why? I’ve always liked “I Need some Sleep” by the Eels. I’ve also always needed more sleep. 9) Do you have a pet? One cat, discussed above. She’s black and white, fat, and named Mimi. 10) How long have you been writing? When I was 3 or 4 I dictated a few stories to my mother, who wrote them out for me. I have never stopped. 11) Favorite TV show? Ahh… The Office. 1. You don’t look sick. How do you look? 2. What was your favorite thing that happened on valentines day this year? 3. When you tell people about your illness or health problem, what would you like to hear in response? 4. What’s one skill you’d really love to learn? 5. What’s one thing you’re wanting? 6. What’s three things you’re thankful for? 7. What has changed in your life in the past five years? 8. What would you like to be different in five years? 9. Do you have many friends or just a few close friends? 10. What’s the funniest thing that’s ever happened because of your illness or health problem? Aaaand I’m going to go re-watch every episode of the Office….now. And that’s that! It was fun to write, I hope it was fun to read! I’ve got tons of posts in the works for you guys, and I’ll try not to disappear again! I hope you’re all AWAP ~ as well as possible. HAPPY 23RD BIRTHDAY–ON SATURDAY– OMG– I HAVE SHOES OLDER THAN YOU!!!!!! 🙂 MOST EVERYTHING I OWN IS OLDER THAN YOU!!!! 🙂 OMG– DO I FEEL OLD!!!!!! 🙂 I HAVE STEP-GRANDCHILDREN OLDER THAN YOU!! 🙂 HAVE A WONDERFUL PARTY!!! I LOVE READING YOUR BLOG!!! Happy early Birthday Rachel. How exciting! To be 23 and not 58. AHHHHH! Thank you as well for the Liebster award. I have transferred all to my blog and will start working on my acceptance as soon as I get my brain back in a day or two. Thank you for including some info about MFS in your post!! It put a huge smile on my face. I love your 11 things about yourself and the answers to the questions too! P.S. Happy birthday, your party sounds like it’s going to be freakin’ awesome!! I hope you feel “as well as can be” during! Thanks so much! The party went well, all things considered. I really crashed at the end of the night, but it was totally worth it. Thank you. I love this award! I’ll add it to my swag: I have three to accept… and I’m so excited about that. I’ve just moved to a beach house – and I’m loving it. Feel so much better, and this award just tops up the happiness I feel. I like the questions too. And I love those images you’ve got there: the one with the four pictures together, made my head feel like it was spinning for a second there. Whoa, congrats on the iPad, that’s pretty freaking sweet! I’m so glad you stood up for yourself and that people are helping! Man, that is cool. Pingback: Inspiring, Versatile, and Loved | Do I Look Sick? Pingback: An Interview With Myself | Do I Look Sick?